Alisha love for dance music evolved back in the early nighties attending the regular Helter Skelter raves in Milton Keynes, the legendary Cream and voodoo in her home town Liverpool, it was here her passion and interest to DJ began and she hasn't looked back since. Her varied taste for the many styles of music derived from house, tribal house, and progressive and finally her focus and commitment in 2005 set to techno. Her vinyl collection began to take form and consisted of various labels more known for their acid sounds such as, Raw Recordings, Stay Up For Ever, Glitch and Hydraulix and it was through these labels as well as seeing the likes of Dave Clarke, Dave the Drummer, Mark E G, Joey Beltram, Alex Calver, Chris Liberator, A Paul influenced her to delve deeper into the industry. That year Alisha opened her own record shop called Reality Records, in St Helens which she later transformed into a DJ training and music production facility helping young uneducated children to learn the art of mixing and producing. Since then time and technology forever changing never put a stop to her DJing and learning new skills. The change over from vinyl to Mp3 began in 2010 were her taste for techno expanded even further experiencing the sounds of the darker techno labels from Berlin. 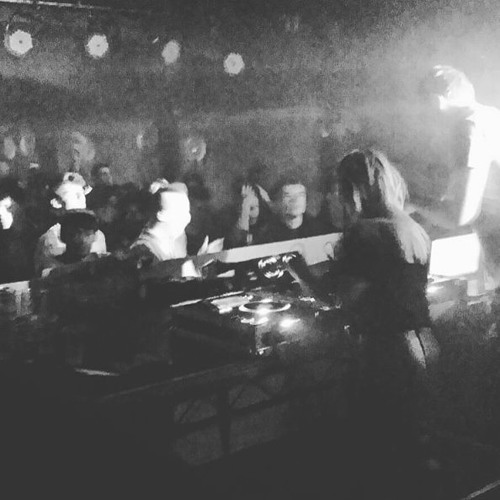 It was then through making friends with various promoters she was invited to play at events such as Detached, Future Past, Code, Dubtek, Playground, Massi, Tribe, Remission and resident at Litmus Liverpool allowing her to play alongside, Perc, RadioActive Man, Jay Clarke, MeatFree. With many more future bookings Alisha DJing career is beginning to flourish in the underground scene. Alisha passion and commitment to the music she loves continues, supporting all events near and far, which has given her inspiration for her sets as well as focusing on production and releasing her own sounds. She later adopted the stage name of LNRS - Late Night Riot Starter through her heavy, energetic sets. This is a girl who knows what she wants for the future, but for now is hitting full steam ahead into her DJing & productions work.....watch out for the train ! !